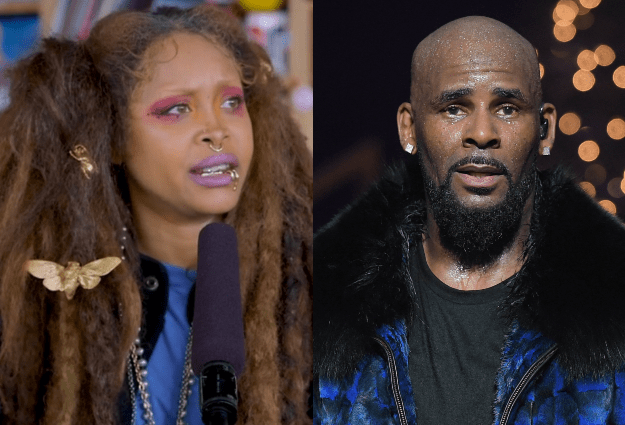 Erykah Badu has caught heat over the weekend after she appeared to defend R. Kelly during her concert. The neo-soul icon was met with boos from her audience on Saturday night at the Aragon Ballroom in Chicago, where she appeared to challenge the backlash faced by R. Kelly following the recently aired showtime documentary about his alleged misdemeanors. The showtime docuseries, Surviving R Kelly, detailed allegations of sexual abuse and misconduct made against the R&B artist throughout his career. TMZ reported that Badu said she was “putting up a prayer” for Kelly, following the backlash he’d received from the recently aired programme. Badu’s comments come after Dream Hampton, the director of Surviving R. Kelly, alleged that the neo-soul artist had refused an offer to appear on the programme.